This year, why not spend Halloween in Paris and enjoy the fun and thrills the city offers during this scariest of celebrations? The city is full of little secrets and macabre history that is perfect for producing tingling spines and delicious goosebumps. On the terror trail are the Catacombs, a museum of vampires and other monsters of the imagination and the Manoir de Paris. Brrrrr! The Museum of Vampires and Monsters of the Imagination plunges you into the midst of humanity’s most terrifying nightmares. Here you’ll find the strangest and spookiest of artefacts telling the tales of weird creatures through the ages. Immerse yourself in the sinister night lands populated by spectres and witches, bizarre rituals and mysteries never revealed. Finally, Halloween would not be the same without a tour of the Manoir de Paris, an interactive walk-through haunted house where the horrors of Parisian history are recreated by professional actors who bring these grisly tales vividly to life. 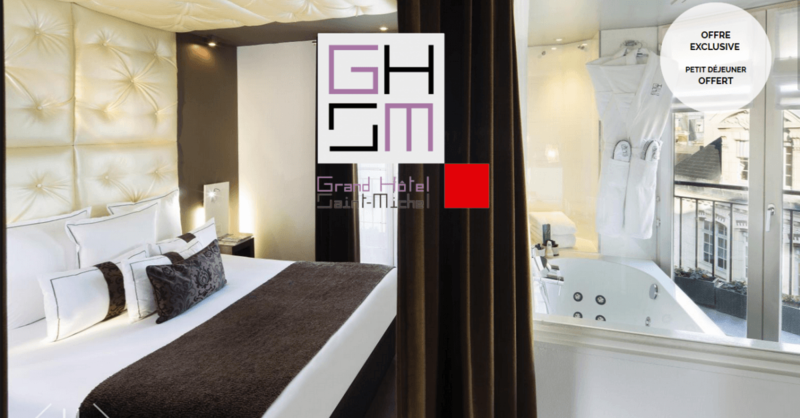 After experiencing all that terror, you’ll be absolutely delighted to return to the softness and comfort of your room at the Grand Hotel Saint Michel.